ExtraKun is baaaaccckkkk!!! It’s been a long time, and I shouldn’t have left you… but here we are again with more “heartlessness” in Heartless City. Episode 10 starts off with a BANG… Literally. I find myself rearing the green eyed monster at Nam Gyu Ri for having a bed tousle with Kyung Ho Oppa *Sigh*. Oooo, Doctor the type to love em and leave em— a lot of hearts just broke around the world. Sorry girls, he can’t be domesticated. Emo pays Soo Min a visit (if she saw Doctor over at her place!) and concludes that she is moving along well with Hyung Min. Little does she know her “lover” has been “loving” someone else! Extrakun’s sidebar: I am not the jealous type, I find it nonsensical when I am pretty damn awesome in my own rights, but this momo takes me back to 2010 watching Athena when Lee Jia gets to roll around with Cha Seung Won! It was the “Rage of Extrakun”. As Doctor drove back to the hideout, he reflects on so many things. My personal thoughts are: does he think this woman will interfere with his plans? Does he feel a sense of guilt? What was this that just happened? Soo meets up with his informant detective Kim to see how much intel the special unit has on him. It’s not much—closer to nothing since Thinker cop is on probation and doesn’t come to the office. Soo Min! I was just about to give you 3 gold starts for sleeping with “hot Ahjussi” (Lord knows I wouldn’t do it but I so would want to!) and you go and talk silly? We are on the brink of being “over” girl… We flash back to the first moment she meets Ji Hyung Min. Soo Min was showing her tail from jump street! Hyung Min also reflects on a memory he had of one of his encounters with Soo Min… Understandable why he thinks she is a thug; but I believe it to be an occupational hazard. Hence the reason daddy said what he said in episode 9. Ok Shi Hyun, you feel some sort of guilt for sleeping with Soo Min. It is the only reason I can fathom you trying to play nice with Emo despite all the hell she is putting you through—even if it was her birthday, your behavior says it all. Uh oh! Doctor just caught Soo Min going into Emo’s office; this could mean a few things… But I want to watch it unfold before I voice my opinions. Safari is able to hoodwink Emo into making another deal. As she leaves to meet up with him, Doctor grabs her and asks about Soo Min. Emo says she is the person who saved her life in prison. Doctor then asked if she is like Hye Soo with Soo—Emo says she didn’t mean for Hye Soo to die and tells him not to ask her to leave the drug game again; it just can’t be done. I never believe the things that come out of Emo’s mouth—how could you not think that Safari wouldn’t kill Hye Soo along with Soo—wait, you stupid. Never mind. Emo meets up with Safari and tells him she will do the deal as long as Doctor is untouched. Safari reminds her it depends how well she handles the situation (LIES from the pit of hell!!). He also inquires what doctor is to her… He tells her he thinks she sees him as a man she wants in her bed (Safari… You ain’t ever lied about that Emo crushing on Doctor). Emo evades the question and says it’s none of his business. 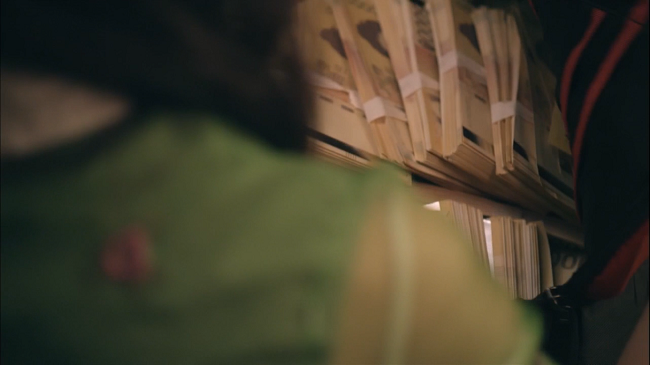 Lee Jin Sook ponders deeply in her office on the character of Soo Min. She is going to send her on the drug exchange because she believes she is “savvy” enough to get herself out of a dangerous situation. She is trifling and it is upsetting. Why does she refuse to see more than one outcome? Safari Moon, Pusan, etc. WILL KILL THAT GIRL! Lee Jin Sook asks Soo Min to run a drug deal for her. Soo Min calls Thinker cop to inform him of the situation. All the while Doctor has been keeping tabs… He is not your average bear! Thinker cop contacts the Special Unit and lets them know about the drug deal. 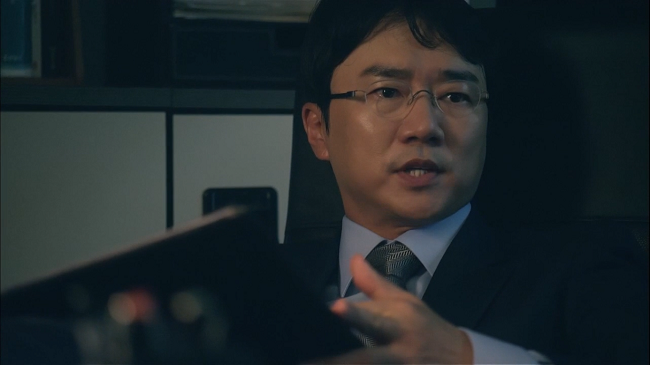 Shi Hyun reaches out to Director Min to trace Soo Min’s cell phone so he can keep up with the drug deal. So everybody is prepping for the drug deal! Just when you think you can get some work done, here comes the prosecutor’s office screwing things up! The prosecutor’s office now ranks and has authority over the special unit. Emo informs Safari that she will not be there to make the deal. Safari is pissed— he tells Meth Kim the deal has gone sour and to get the money from Soo Min and kill her. Emo foolishly realized Soo Min is in danger. Doctor calls Soo Min and tells her she is in danger. She needs to listen to him if she hopes to make it out alive. 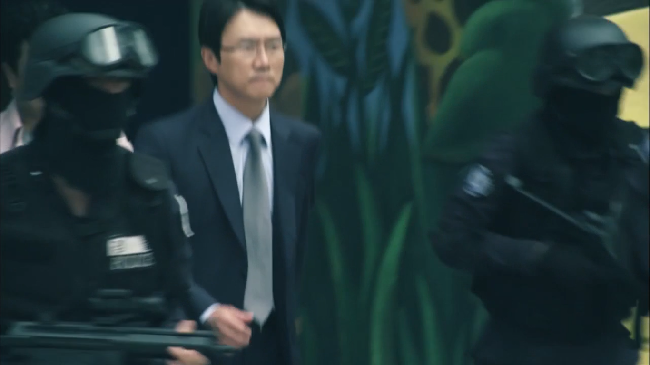 So the rundown of the drug deal is this: the police and Safari’s group are all after Soo Min. Doctor, Hyung Min, and Emo are all trying to save Soo Min’s life. Soo Min runs away as instructed by Doctor as Thinker cop sees and pursues Meth Kim. She gets caught by Stabber Wench while trying to escape… Doctor finds her and makes a break for it! When they have a moment alone she asks Doctor who he is… Doctor tells her she needs to get out of this world, she could die. He tells her his name— Jung Shi Hyun. My favorite part of the episode was the Library maze with Safari Moon and Doctor’s Son. 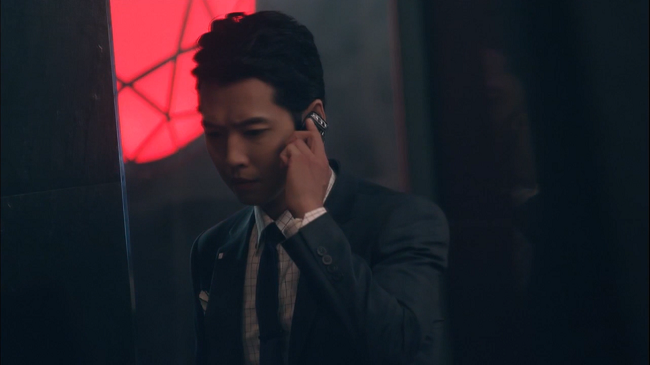 Ji Hyung Min enters right when Safari is about to kill Shi Hyun— then the most unbelievable thing happens, “I’m police. I’m detective Moon Duk Bae from the special narcotics division in the Pusan Regional Police.” SAFARI MOON!! Everything within me tells me you are not a police officer; therefore, this was the most hilarious thing I have ever heard! 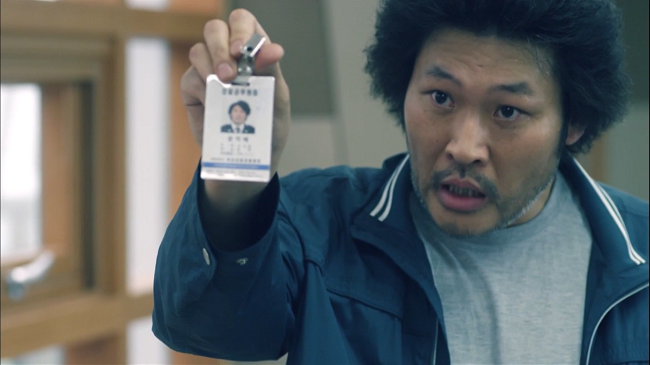 This episode did not have a famous quote but a look— the Look on Shi Hyun’s face when Safari says he is a cop is priceless! “I never believe the things that come out of Emo’s mouth—how could you not think that Safari wouldn’t kill Hye Soo along with Soo—wait, you stupid. Never mind.” PRICELESS!! !